In the Cold War, the U.S. and Russia deterred any major attack by the other with existentially dangerous arsenals of nuclear-tipped missiles. Now, Russia has what it views as a potent new deterrent, experts say — cyber implants in the U.S. electric grid. What's going on: Over the last year, Russian hackers have infiltrated power stations and other points on the U.S. grid — and now are inside hundreds, empowering them to create chaos with massive blackouts, U.S. officials say. But experts tell Axios that, rather than plotting an attack, the Kremlin is sending a deliberate message. James Lewis, director of the technology program at the Center for Strategic and International Studies, sums it up: "You guys better back up because look what we can do!" In a special Axios report yesterday, current and former senior U.S. intelligence and security officials said a crippling cyberattack is the country's greatest threat. Security experts say a blackout, especially if prolonged, could create social and economic chaos — and possibly lead to civil violence. U.S. officials are increasingly worried about the Russian breaches. On July 23, the Department of Homeland Security went public, describing the infiltrations by Kremlin-backed actors called Dragonfly or Energetic Bear, and it plans to ring the alarm in further briefings around the country. The U.S. and Moscow are eyeball to eyeball, each capable of taking down large parts of the other's infrastructure. "Since 2015, the Russian government has been clear that it has wanted a nuclear-like deterrence in cyberspace," says Christopher Porter, a senior fellow at the Atlantic Council and chief intelligence strategist at FireEye, a cybersecurity firm. 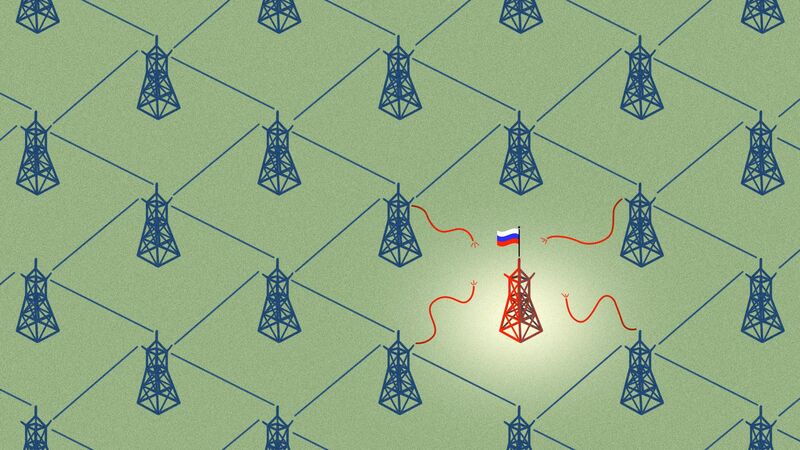 "The U.S. has shown 'shock and awe' in cyberspace, and Russia wants to show it can keep pace with the U.S."
That's why Russia has launched hundreds of incursions against the U.S. grid. There's no one main switch that can cause a massive nationwide blackout because the system itself is so decentralized. But, unlike the depths of the Cold War, the two rivals have no treaty setting boundaries for weapons deployment and use. Axios' Erica Pandey writes: We are talking a breakneck coffee war. Chic is Starbucks' greatest asset everywhere, but it is facing a determined rival in the homegrown Luckin, which wants to transform the uppity $5 latte into a more chill, mass-market product. Still, the Chinese coffee market is embryonic: Chinese consumers drink about three cups of coffee per person per year, Euromonitor says. Compare that with 363 for Americans and 250 for Britons. That leaves plenty of room for upstarts. Extreme weather could change global economics by making it too hot to work and disrupting electricity in dozens of countries including China and the developing world, according to new studies. In the closing decades of the century, severe heat waves may put a cap on farming, construction and even habitability on China's breadbasket in the North China Plain, according to a study by MIT. And by 2045, heat could jeopardize 10.8% of West Africa's exports and 5.2% of southeast Asia's, affecting 48 of the world's most-vulnerable countries, according to a separate report from Verisk Maplecroft, a risk analysis firm. Why it matters: Among a growing number of broad microeconomic assessments of climate change, the studies suggest a consequential strike on global growth unless dramatic strategies are undertaken. Axios science editor Andrew Freedman writes: "These papers are a bit shocking in that they point to supercharged heat events emerging in the lifetime of many of our readers (2045 or so), and get at the economic ripple effect of reducing productivity during extreme heat." On the North China Plain, combined temperatures and humidity will reach 95 degrees between 2070 and 2100, about seven degrees higher than now. At this level, humans cannot survive beyond six straight hours of exposure. And in developing countries, power outages — already an epidemic in Africa, India and elsewhere — will plague companies working in the regions. In all some $88 billion of exports could be lost in southeast Asia and west Africa. The 10 lowest-risk countries are largely in Europe, including Denmark, Finland, Ireland, Norway, Sweden and the U.K.
Read Andrew's posts on the developing world and on China — and on the impact in the U.S. by Eileen Drage O'Reilly and Alison Snyder. In May, we reported that China's tech giants are sharing their secret sauce with mom-and-pop shops around the country, helping them join the digital revolution with state-of-the-art artificial intelligence and e-commerce technologies, Erica Pandey writes.